Year eight netball tournament at Fairlands school. 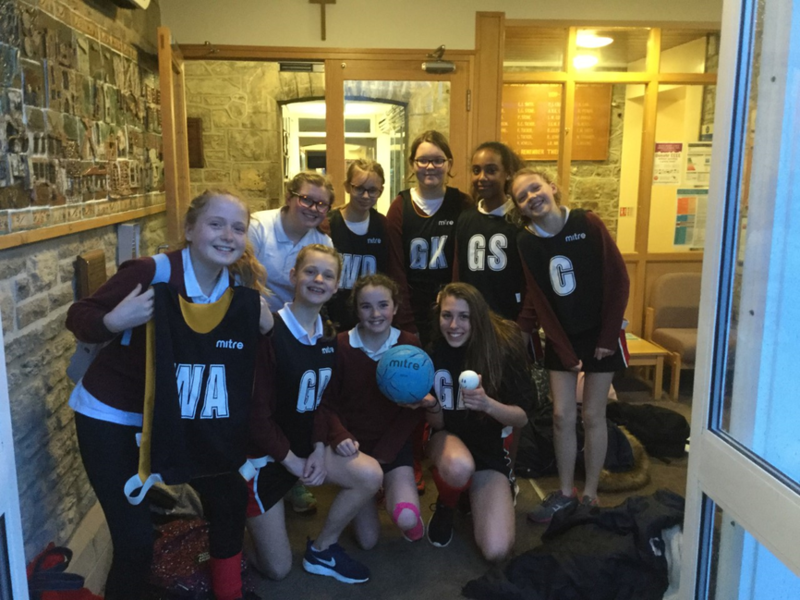 The team played well against a range of Mendip schools: Wells Blue, Crispin , Fairlands , Selwood, Oakfield and Shapwick schools. It was rather cold and wet but there was, as always, with year eight girls, a great team spirit. Losing their first Mach against Wells Blue 11-3, the team went onto win against Crispin and Fairlands and drew against Selwood and Oakfield. Time prevented us from playing newcomers Shapwick. Wells Blue went onto win the tournament and the overall results will be published later this week. Mia Johnson who is a very talented Captain was voted player of the match by five schools. However, the whole team are to be congratulated as they played with a great deal of skill and agility.